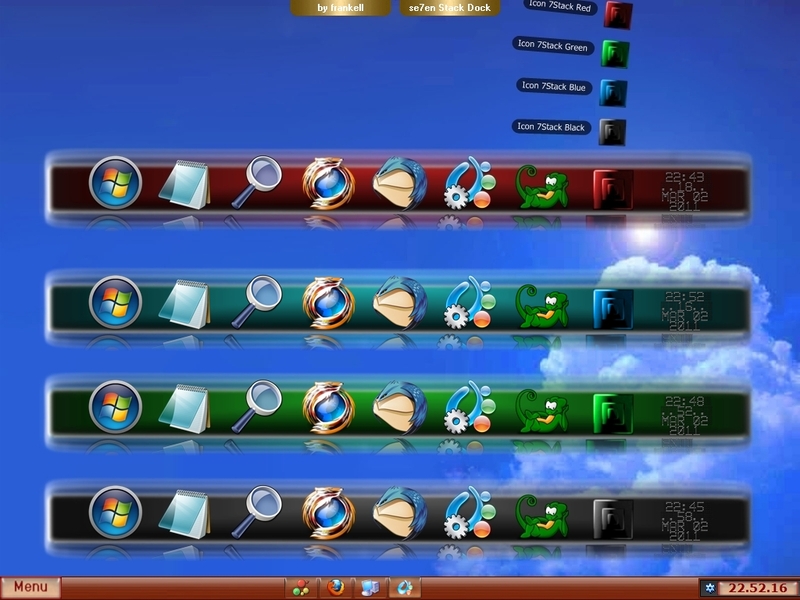 4 colors dockbackgrounds ... I played again with transparency degrees for the 3 layers "deep perspective" stack effect! Frankell, thank you once again for some nice clean docks. More classic but with new effects bravo frankell to look for always the innovation. It's my pleasure to know I was able to surprice one of the most innovatve skinners on WC ! many thanks for the feedback mon amì ! ... let me know !